Greater Port Macquarie is a diverse region of Australia, rich in natural and cultural history. Experience life as it was for the local Flynn family over 100 years ago as you wander the museum and enjoy the 19th century atmosphere. Entry by Gold Coin Donation. Open Daily: 10am to 4:30pm (Subject to the availability of Volunteers). 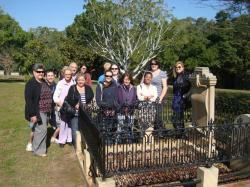 Group guided tours available by arrangement. Ahoy there! Set sail and discover our maritime history. 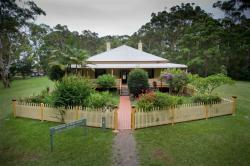 Our museum actually covers three sites in Port Macquarie. The Maritime Museum is housed in two Cottages that date back to the 1890's, and these were originally the homes of the Pilot and the Boatmen who assisted the Pilot. Join Port Macquarie Seaplanes for a wonderful experience. Imagine the thrill of taking-off and landing on water and experiencing the magnificent scenery of the beautiful Mid North Coast of NSW. Soar over the spectacular coastline & waterways and enjoy birds eye views to the Great Dividing Range. 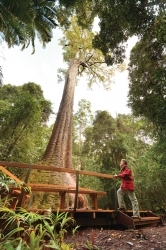 Burrawan State Forest is on Bago Road near Wauchope and includes the tourism award-winning visitor attraction "Old Bottlebutt". Travelling from the south, take the Bago Road exit off the Pacific Highway and look for the right hand turn into Internal Break Road, then follow the signs. From the north and Port Macquarie, travel to Wauchope and head south on the Bago Road for 10km, turn left onto Internal Break Road and follow the signs. 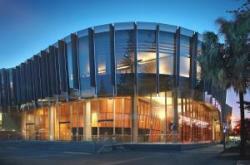 The Glasshouse is the premier performing arts, conference and entertainment centre in regional NSW, located in the thriving CBD hub of picturesque Port Macquarie, on the mid north coast of NSW. 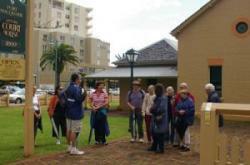 It is home to a visitor information centre, interactive heritage displays, regional gallery, shop, meeting & conferences. Experience authentic local Aboriginal culture with Sea Acres Rainforest Centre's Yun Yi Barragay (Gathang language for Waljk With Me) Aboriginal Tour Guiding program. 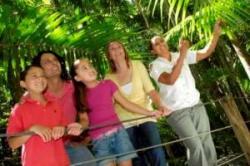 3rd Saturday of every month (check the Rainforest Centre for summer holiday program). Our brand-new, state-of-the-art, air-conditioned helicopter will fly you in comfort as you discover the majestic Port Macquarie coastline. No matter what the occasion, Port Macquarie Helicopters has a scenic helicopter flight guaranteed to be a once in a lifetime experience.